To become a member you must have an email account through which you can apply, create an account and receive information from us. If you do not already have an email account you can create a free web-based email account at Gmail or YahooMail. After you have completed this step, you will receive an email message with an email lock code and your unique membership number. Simply click on the link provided in the message to validate your email address. This ensures you are able to receive communications to valid functional email address. 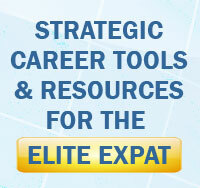 Login at Expats Direct. The first time you do this, you will be asked to put in the email lock code your received through email to activate your account.